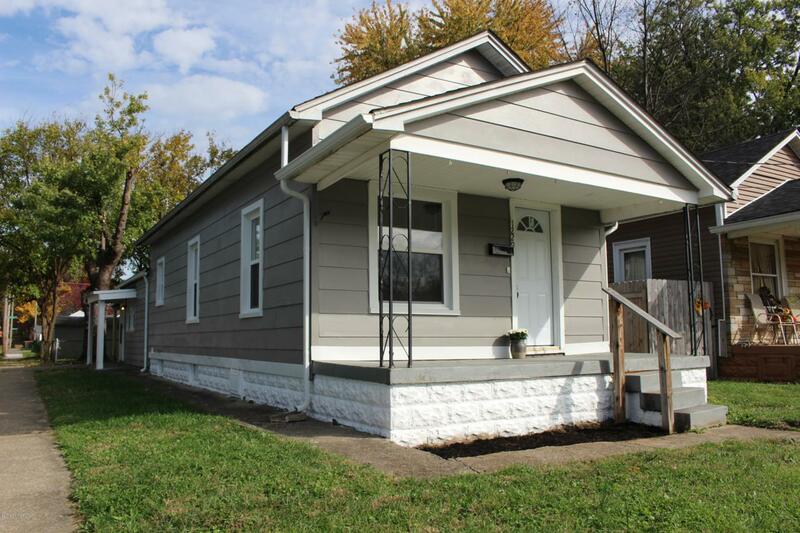 Welcome to 1229 Lillian Avenue, a wonderfully updated two-bedroom home, just a short distance from the University of Louisville and Churchill Downs.This home features brand new flooring, windows and exterior doors throughout. Additional updates include a new roof over the main portion of the home, a new water heater, a refurbished full bathroom and fresh interior and exterior paint. The basement offers a good deal of storage and work space. This home is situated on a spacious corner lot and features a convenient carport, a fenced back yard and garden shed. The sellers have allowed for the addition of new kitchen appliances and repairs to central air. Owner financing possible. Great investment opportunities! This home is easy to show and priced just right!